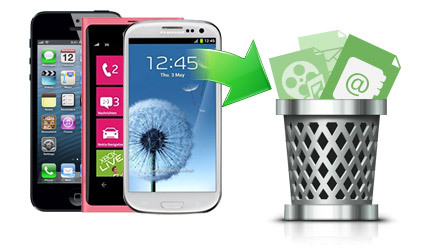 Recovering a deleted file from mobile is as easy as copying a file to a folder. Hence, don’t panic if your data is accidentally deleted from your smartphone. There are many tools to restore deleted files. But most of them are paid. Hence we will share a free data recovery software in our tutorial. These tools can restore any types of files such as images, videos, text, etc. Just follow the below given instructions carefully and you can recover deleted files within minutes. First of all it is necessary to know how these files are recovered. When a file is deleted from a device, it is not actually removed. The data remains within the physical memory. Hence, when a new file is added, it overwrite on the deleted data. Hence it is necessary that you don’t add any extra data before starting to recover deleted files. Note: Before recovering, keep in mind that you have not overwrite your SD Card. Don’t paste any files or folders in your memory card. This will help in much better recovery of your deleted files. 1: First of all, connect your smartphone/pen drive to PC using a data cable. Click on data sharing option in your mobile. 2: Open Recuva and click next. Now select All Files option and then again click next. You can also select other options like images or video if you want to recover a particular file. 3: Now click “On my media card or iPod” (For mobile) and click next. Click “in a specific location”(for pen drive/external disk). Select the location of your drive. 4: Tick on “enable deep scan” . Unticking this option will take less time but will not do a deep scan. Hence we recommend to tick this option before going any further. Note that while choosing a folder to recover, you have to select a different target drive. You can select C drive or D drive of your computer. This will help in complete recovery of your files. 5: Click start and the recovery process will get started. Wait for a while and a dialog box will appear. It will contain the files that can be recovered from your mobile/pen drive. Tick on the files you want to recover and click recover. Choose a folder (except your sd card) and the file will be recovered. This software can also work with any other devices such as Computer or an iPod. To restore deleted files from your computer hard-disk, just follow the above steps and choose the desired drive. All other steps are same. 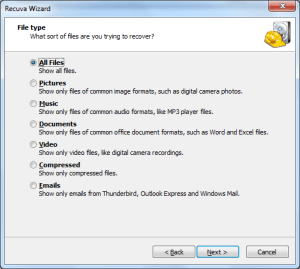 It’s quite easy to use Recuva in comparisons to other data recovery software. 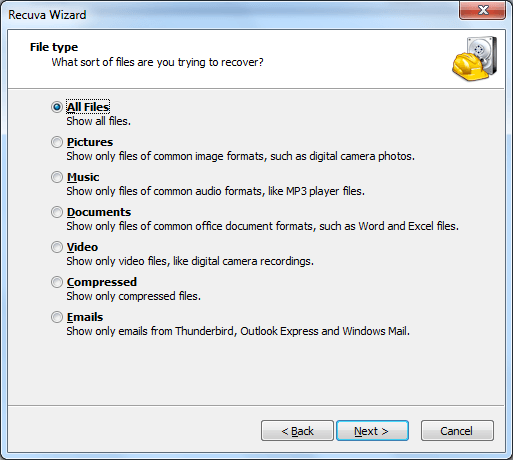 1: Open Recuva and select the type of file. 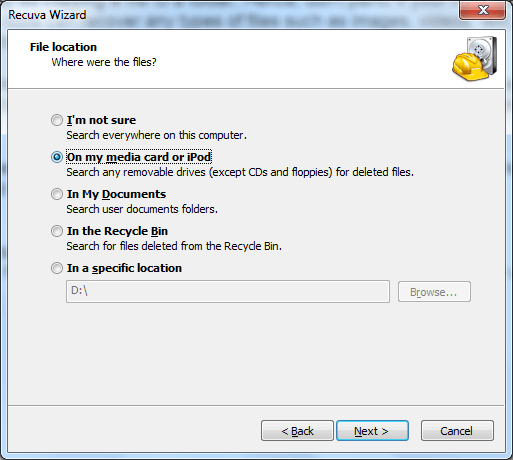 2: Now tick :In a specific location” and select the location of the drive from which you have to recover deleted files. 3: Select “enable deep scan” and click on start. This will scan for all the deleted files. Wait for a while and a dialog box will appear. It will contain the files that can be recovered from your computer’s hard drive. Tick on the files you want to recover and click recover. Choose a folder (except original folder of deleted file) and the file will be recovered. We hope that your data will be fully recovered after following these steps. If you are still facing any problems, then feel free to comment below. You can use the above steps to recover deleted files from any other device in the future. If this software is not working for you, then let us know. We will provide you with another Free data recovery software. check this wondershare dr fone for android….. this is the best data recovery software for android.